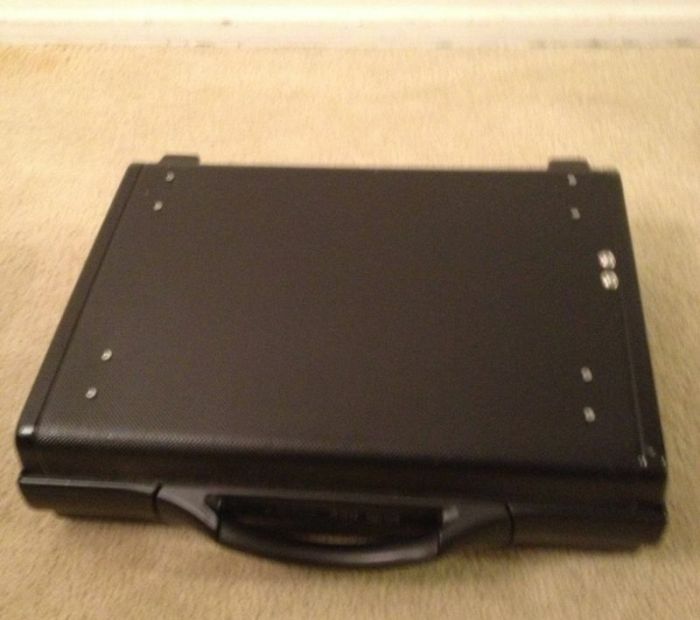 Gaming laptops are very expensive, PCs are too big to carry them around. 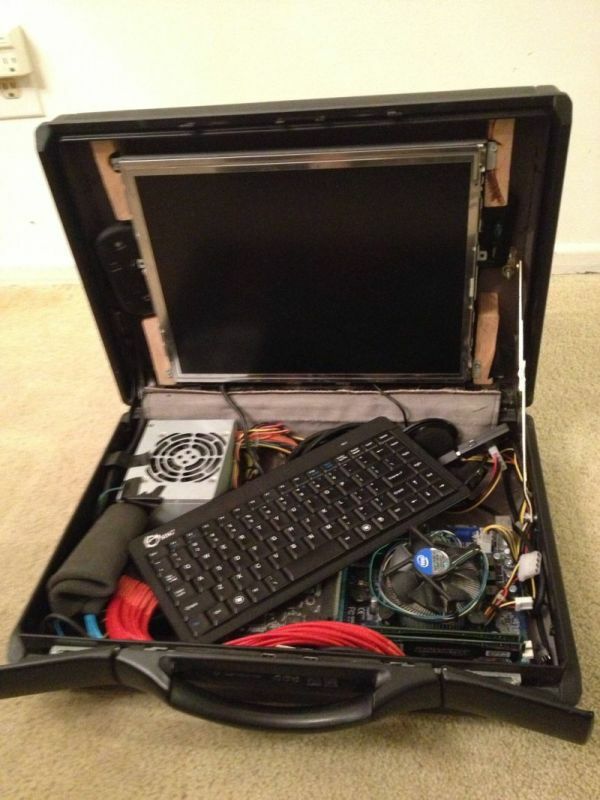 Here is an interesting solution - gaming PC inside a briefcase. It has Intel Core i5 processor, 16GB of RAM, XFX HD 6670 graphic card and to operating systems - Windows 7 and Mac OS X.
I agree. 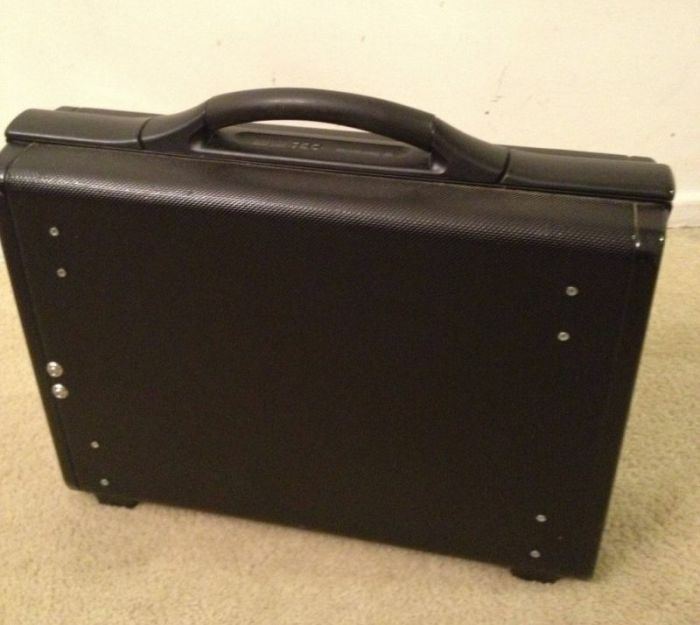 They just took some components and put them into a briefcase. There are some amazing modders out there who have incredible talent for this sort of thing. 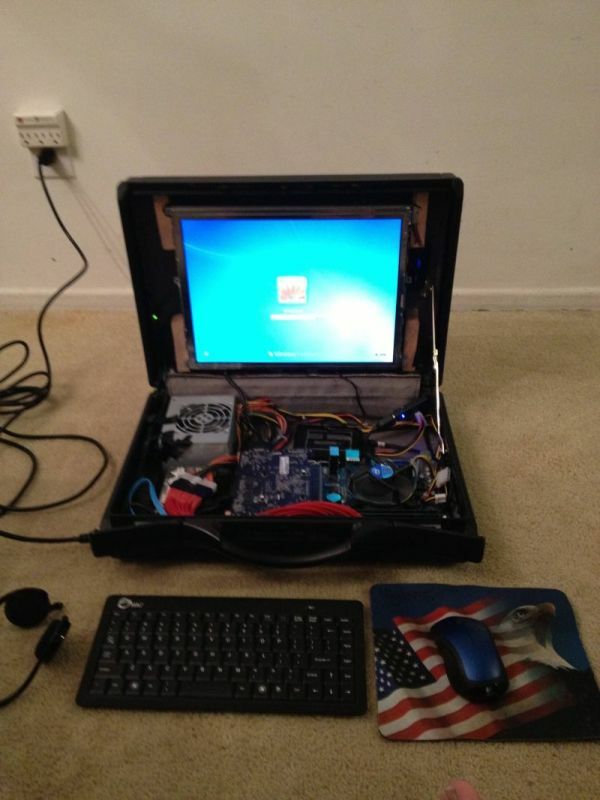 This guy must be from one of those guys who brought their whole unit PCs in to Starbucks or some other Coffe shop hahah ! 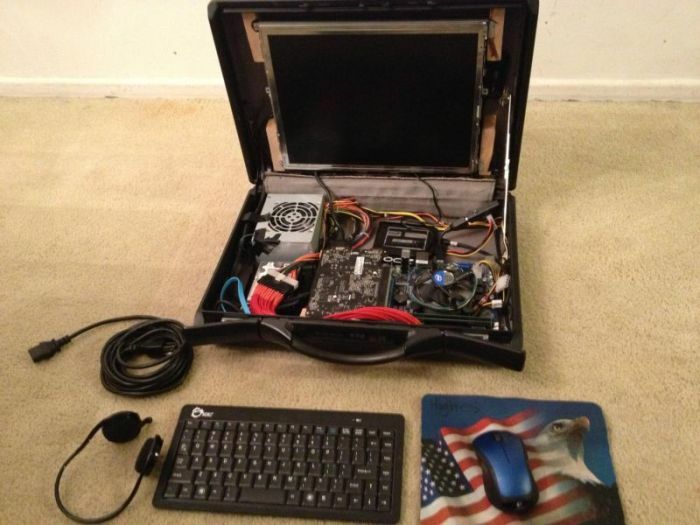 Why would you build this as a gaming computer but put the Mac iOS on it? This is my PC. It literally was made out of parts that I had around. 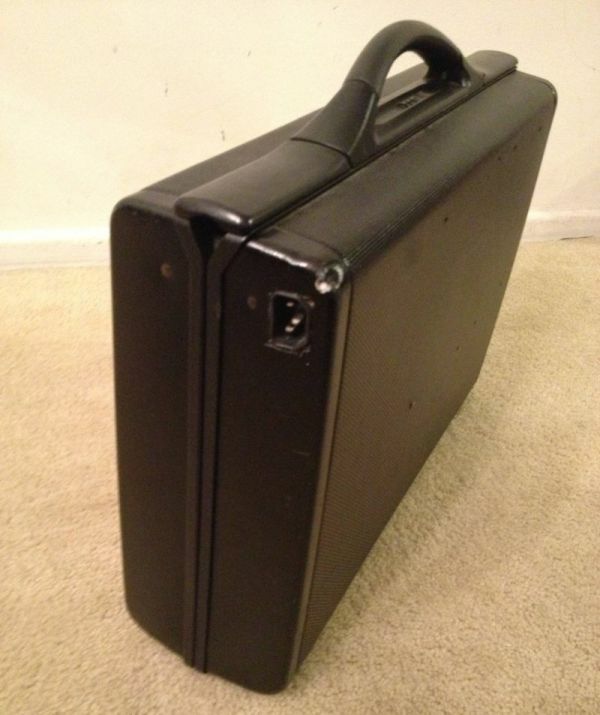 I got the briefcase at Good Will for a couple bucks and the monitor was a old Sony that my girlfriend was going to throw out. 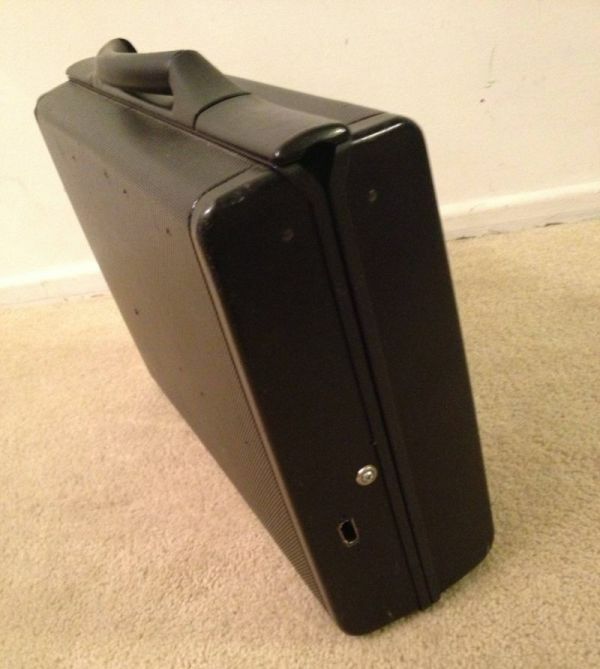 Before it had a core i5 2500k, it had a core 2 duo and a different board with 4GB of DDR2. I got the PSU, the Core 2, board, memory, and GFX card off my buddy for $200. The hinge that holds the lid used to be just a drumstick. Later when I came into a little more cash I upgraded it to how its now since the board started to get flaky. I've had the PC for a good while now and it has served me well. 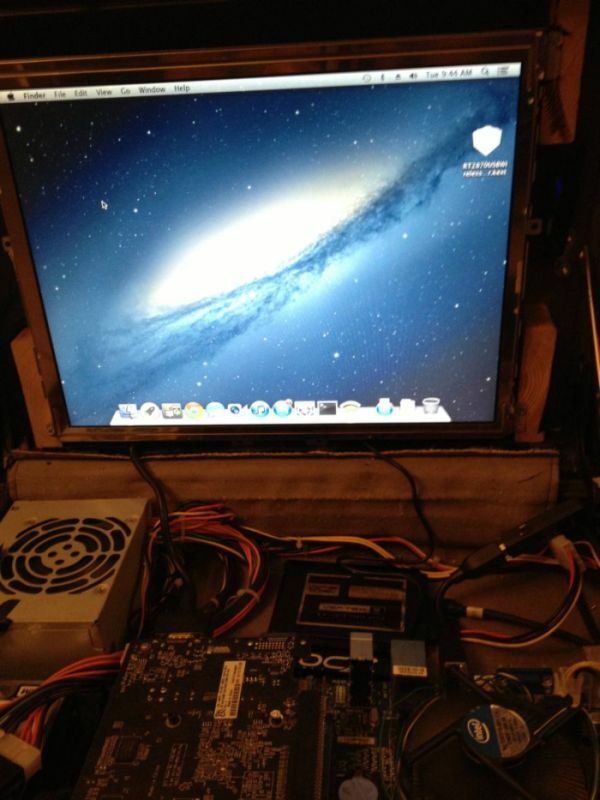 I had a dual boot of Mac OS for music recording, business and pleasure.